Auditory Processing Disorder (APD) is an umbrella term to describe a number of different auditory processing problems and difficulties synthesizing auditory information. It does not just describe a physical hearing problem, although many children with hearing problems tend to have delayed auditory processing skills because of the reduced amount of opportunity they have to listen and process. Most parents suspect auditory processing disorder in children if speech does not develop as expected — if children are not processing words clearly, they will be reluctant to speak words out loud. In most cases, speech therapy along with natural maturing will help bring speech up to speed with 12-18 months of work. Speech therapy alone, however, does not address the underlying auditory processing problems if they exist. It works on a symptom only, which is delayed speech. Many children with auditory processing problems do not have speech issues. Parents should be on the lookout for other auditory processing disorder symptoms — it’s a long list covering speaking, listening, learning and reading skills. Mastering language at natural language speed is one of the fastest and most challenging cognitive tasks the brain has to accomplish. Not surprisingly, many children struggle early on with reading. At 5 or 6 years of age they have not developed the processing skills needed to hear every sound in every word. This covers around 40% of 6 year old children. Arguably most have at least a mild form of auditory processing disorder that is impacting their ability to learn to read. Sounds come too fast. The world is traveling at one speed — natural language speed, 40 sounds per second — but APD children process at a lower speed. This means children with auditory processing disorder spend their whole day a little off balance, trying desperately to catch up or keep up. Much is missed, it’s exhausting, and in the end, more often than not, unproductive – each day means more lost ground. Language is muddy. It’s like listening to sound through water, as first described by author Karen J Foli. This has major consequences for the APD child — listening is exhausting, always, and picking out sounds inside words as is required for reading is challenging indeed. This is sometimes called language processing disorder. Here is a list of some of the other, often surprising, ways these two aspects of problems with auditory processing — the world coming too quickly and muddy language — impact a child’s day-to-day life. One of the less understood impacts of auditory processing disorder in children is how it undermines social interaction. APD makes it hard for children to keep up with conversations — by the time they hear and process what someone says on the playground, others will have responded and the conversation will have moved on. This leads to a tendency not to participate. It may be easier to hover around quietly or alternatively, due the frustrations of not keeping up, just preferring one’s own company. Making friends is just too hard. This can become a vicious cycle as the lack of social interaction leads to less than normal conversation and language stimulation, the main ways auditory processing skills gradually improve. While the difficulties APD children have with background sounds in typically noisy classrooms are well known, less understood are the humiliations and disappointments experienced daily. During the school day a child will get called on to participate in one way or another. Generally this participation is preceded by a question or request and then it requires immediate response. This is no easy feat for children with auditory processing problems. They need a few seconds to process the question or request (while the rest of the class looks on and waits) and then they need to decide on a response. If your APD child is giving you a hard time about going to school, this is a possible story that is playing out for him daily. A talk to a teacher may go a long way to improve the classroom experience for him. Sequencing is a learned skill that is commonly delayed in children with auditory processing disorder. It takes practice and because APD children expend so much energy actually taking in information, they have very little capacity to manipulate it or analyze it — this includes recognizing patterns or sequences. Sequencing is a huge part of math logic. Not only is it helpful in learning math facts and basic math computations like long division, higher level math logic is almost all sequential — an inability to remember the order of steps is a major impediment to getting math. Arguably the most insidious impact of auditory processing disorder in children is how it impacts phonemic awareness and learning to read. If auditory processing is adequate enough to hear words as whole sounds for accurate listening and speaking many parents think there is no issue. But reading requires processing language at a much higher level of accuracy. It is not good enough to hear “bat” as one sound. To recognize the word as text, he must be able to hear the three sounds — the |b| |a| |t| — that make up the word. Unless those sounds, called phonemes, are heard clearly, the word will not be recognized in print form. This means the APD child needs to come up with a whole new way of learning to read, generally by memorizing words as if they are a completely separate language and then translating back to word memory. This is an arduous and inefficient approach. It can work for a year or two, but eventually falls apart leading to problems with fluency and/or reading comprehension in 3rd or 4th grade. Some children with auditory processing disorder, albeit those with more mild delays, are able to make the gargantuan effort required to hear the sounds inside words and are able to learn to decode, only to run into problems with reading comprehension later. Reading with comprehension requires automatic decoding. If decoding takes any concentration, there is less available mind space for taking in the meaning of the text. Children with auditory processing problems — remember, it’s like listening to sound through water — are almost never able to achieve decoding automaticity due to the muddied way they hear words and so reading comprehension is almost always at risk. This fearsome combo is why homework stress is business as usual for parents of children with auditory processing disorder. About 85% of all words are phonetically regular, words like bat or shop. Once you know your alphabet and you can hear the sounds inside the words, spelling these words is a snap. For most kids then, spelling is about the remaining 15% of words for which there are spelling rules, exceptions and the irregular words, the so-called “red words” that need to be memorized. Learn those rules, etc. and you are pretty much a speller. This is not what lies ahead for young spellers with auditory processing problems. They don’t have the advantage of being able to hear the phonetic breakdown of words that makes it easy to spell the 85% of words that are regular. For them, every word is a red word. One of the most important cognitive skills required for academic success is learning how to stay engaged, called executive attention. Paying attention is easier if listening is comfortable and if the speaker is interesting. This is hardly ever the case for children with auditory processing disorder. They find listening exhausting and often don’t process enough of a conversation or lecture to be able to make sense of the material or to find it interesting. Without the experience of settling in and listening, children with APD don’t get to practice attention skills. Most children diagnosed with inattentive ADD in fact have an underlying auditory processing disorder. Most children learn to write through observation. They learn the syntax and rules of language, how stories are laid out, and how arguments are made by analyzing and observing while listening and reading. This is not the case for children with auditory processing problems. They have a limited capacity to observe the language they are processing while listening, even less so while reading. They do not notice the language syntax and grammar rules in the words they hear or read — they are too busy just processing the words. Consequently, children with APD often struggle mightily with both the fundamentals and composition when it comes to writing. The grammar rules, the way sentences are structured, the way arguments are made and built are all quite foreign to them. For most children, auditory processing skills will improve with age through listening and natural conversational interaction. For some though, the challenge is more severe. If your child is struggling with phonemic awareness, but does not appear to have difficulty with background noise — the classic symptom of auditory processing disorder in children — the presence of one or more of these listed consequences of auditory processing disorder may give you a clue that your child may need more help. He may not necessarily grow out of his auditory processing delays by the age of 7 as most do, meaning you may want to seek outside help to accelerate the development process. It’s good to let nature take its course, but it’s also true that if gains can be made, if auditory processing can be improved through exercise, the sooner you start on that track the better. It’s amazing to us that auditory processing is still a relatively unknown cognitive ability, fundamental to so many learning and life skills. I totally agree. I’m grateful that there is much more information available now than there was 7 years ago when my son was diagnosed! Just trying to do as much as possible to get this information out and correct, so that we can get the correct education for our children and adults! I hope the next step is that schools get more proactive and directly address APD, particularly K-2. A little bit of added stimulation of language processing at this age can make a huge difference. Well, there are some limiting factors surrounding APD. #1 There is no gold standard assessment for APD. #2 There is not a unified definition of APD. #3 Children cannot be diagnosed until they are at least 7 years of age due to the normal developmental process of myelinization of the auditory nerve. I actually take some exception to the statement in the article that all children have at least a mild auditory proccessing disorder. If all children have it then it is not a disorder, but typical development (I understand the intention of the author, but it isn’t accurate) #4 Possibly the most salient information is that there is not a single auditory processing therapy modality that has been shown to increase receptive and expressive language, reading and writing abilities. Though that hasn’t stopped businesses from peddling their brand of auditory processingg treatment to concerned parents for thousands of dollars (such as Fast Forword). I hear you regarding diagnosing APD too early, but I think it is fair to say that if a child has speech issues, for instance, the chances he will not develop auditory processing skills as well as someone with crystal clear listening skills. He is at least at risk for APD. I disagree with your comment regarding any single modality that has been shown to increase “receptive and expressive language, reading and writing abilities.” This is a huge ask, given learning occurs in a sequence, in the order you have written actually! If you can improve receptive language, which Fast ForWord and some Tomatis-based programs are more often than not able to do, then improvements will start to occur in expressive language, reading, etc. It’s not an overnight event for sure, but these programs work in the same direction as natural development, giving nature a bit of a nudge by providing more opportunities to practice and master language processing skills. And regarding the article’s mention on everyone having some form of APD, the article actually states that most of the 40% are behind in reading (37% and 44% per the two most recent NAEP reports) have a mild form of APD — quite a lot of research now attributes 90%+ of reading difficulties to weakness in phonemic awareness, caused by you guessed it, auditory processing delays. You make valuable points. I’m not trying to say that these children should not receive intervention, quite the contrary. I advocate for evidence based methods such as response contingent language therapy or conversational recasting. “Speech issues” covers a broad range of disorders. 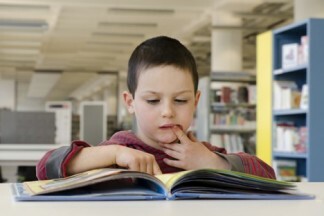 A kid can have a couple of sound substitutions and have above average reading abilities. Kids that exhibit phonological processes (such as stopping or deaffrication) are likely at a risk for reading difficulties. I think I have to make a distinction here that a phonological disorder is not an auditory processing disorder. I never said there is not a single modality that has been shown to increase receptive and expressive language. I said there is not a single auditory processing specific treatment modality (including Fast Forword and Earobics) that has been shown to increase receptive, expressive language, reading and writing abilities. That is what the meta-analysis of the literature says. Some modalities did show a sustained decrease in auditory brainstem response, but that did not result in any increase in areas of communication. On the other hand, there is evidence that traditional language therapy or play based therapy can result in an increase in receptive and expressive language . That says to me that route is more efficacious for clinicians. I’ve never seen literature that makes the claim that auditory processing delays cause phonemic awareness weaknesses. It is also hard to differentially diagnosis typical development and a weakness in phonemic awareness at 5 and 6 years of age, given the expected development of the auditory nerve and angular gyrus at those ages. I would say that I’ve learned that Fast Forward has worked marvelously for a bunch of kids that I know with APD so be careful. What works for one person with APD (depending on sub-type) may or may not work for another. There are also a lot of therapies that work (Interactive Metronome, music therapy, reflex integration, for example). My son benefited tremendously from them. Thanks for your feedback though. Auditory Processing Center within the brain can also be damaged by traumatic brain injury. I am a survivor of acquired childhood traumatic brain injury. In writing; I can articulate with above average skills. However, in a physical environment where there is three or four people talking and in a huge room; I am totally lost. Experts have not given close attention to this issue until, the Iraq, Afghanistan war vets came back with brain trauma and the high rate of high school football players ending up in hospital and or dead. Dyslexia has been tied to neurons and the dendrites disconnecting and causing written words to appear turned around. APC is our inner brain and where we hear and process, words, noise, sights, sounds and our environment. Neuroscience is still making new finds on our brains and with 100 billion neurons with 100 trillion dendrites sending and receiving and they get disconnected or disrupted through some unknown variant; yes, you will have a child that comes to hate the world around him or her. Parents pass it off as lazy, lack of effort, not paying attention, and some other inane idea. The difficulty hearing conversation in a loud room is the classic APD symptom and yes, it can happen with traumatic brain injury just like language skills can be lost with a stroke. It is not an easy journey, but the brain can re-learn these auditory processing skills. Gemm Learning has helped a few accident and TBI cases over the years. I am talking a APC. You are referencing APD. What qualifications do you have? I believe by APC you are referencing damage to the auditory cortex, correct? We were simply making the point that TBI symptoms are often very similar to APD symptoms and that in some cases these symptoms can reduced by exercise. For our teenage son APD got resolved along with cognition, comprehension, OCD, sensory and most other ASD symptoms by the use of CD / MMS (chlorine dioxide) protocol. I think there are so many diagnostic labels to the same root cause problem. Yes kris. To some extent if you learned how to use a hammer, you look for nails — that’s how the diagnosis business works. In the end, your son grew out of his auditory processing delay with some help from the extra activities you provided to speed up the process. Many people panic and think of APD as a life sentence. It’s not. The brain will always look for ways to improve if you give it a pathway and some exercises to get there. All you are doing is assisting what wants to happen naturally. My 24 year old was finally diagnosed with CAPD when he was about 14. One ear hears slower than the other, and there is no filter for background. He cannot write a simple sentence, much less simple words. He learned to read at age 12, and by the time he was 14 could read large books just fine silently, to this day cannot read aloud. He is extremely nervous about things outside his regular routine, because he is never sure if he has understood situations, plans, or directions correctly. He once discribed it as always feeling like he is walking into a fog bank. Speech-to-text is a wonderful tool for him for communicating informally. He is rather an introvert except with family and very close friends. No one understands CAPD, so he just tells them he is dyslexic. He has his own apartment, got his drivers license at 22 (GPS helps with navigation to places he doesn’t know ) and has held down a job for 5 years. I wish I could have found correct and better help for him when he was younger. Susan, it is not too late to get some therapeutic intervention for him! I have a 12-year old son who did the following therapies (music therapy (ILS/Tomatis), reflex integration, Interactive metronome and a program called PACE. I would look up the website for Lehman Learning Center (where I took my son in Seattle, WA). Her website is a good starting point. I would also read the book that she talks about on the website by a woman named Jill Stowell. I also, by the way, have a husband with APD. He has the very same issues as your son! I would see if you can find a provider of these services out where you are. The best things that worked for my son was the music therapy (Tomatis) and the PACE protocol with the Interactive Metronome. This all worked on hearing and normalizing some of the brain functioning to speed up the processing. His expressive writing will also improve, as it did with my son.. I understand his nervousness around change in routine; my husband (and my son to a a more limited degree) is the same. It is about being able to digest IN REAL TIME the communication that happens in these new situations. Because processing is much slower/more delayed than the typical individual and the fact that he’s got the APD subtype that doesn’t adequately screen out background noise, places that have a lot of voices or background sounds are terribly difficult! But you likely know this as you’ve worked on this for years! Hang in there and try to check out the resources that I’ve brought to your attention. It all is a long road but don’t give upl Even though he’s 24, there ARE therapies that work to minimize and in some cases, repair some of the neurological issues that come with APD. Best to you AND your son! Tracey, you have found all of the best learning interventions out there! I would argue that for APD, ILS/Tomatis and Fast ForWord are the most effective as they are sound-based and so the interact directly with APD. PACE has sound components, but is really expensive (being one-on-one training) and has more global elements. Interactive Metronome (IM), and for that matter Balametrics-based therapies, target sensory integration more than auditory processing although IM does use sound in its sessions. This is not to say IM is not a great program though, it is, just not for APD specifically. This is an argument that given how connected everything is in learning, any therapy that challenges cognitive skills and has the essentials for rewiring learning — intensity (adaptive or one-on-one), frequency (at least 20 hours in total in a short period, 4-6 weeks), and shaping (tiny incremental steps to higher ability) — has a good chance of moving the needle. Thank you for this comment, I am just looking at Tomatis as an option for my son (6). Great article on APD. I have found so many of these things with my own 2 children who have different versions of APD. They are both musical – which I find helps tremendously. I started intervention with my son before he started K. With wonderful special education teachers in grade school, sending him to cyber school and performing arts school by middle school, he is now skipping 8th grade and going on to high school with his age group (he attended pre-K twice). His reading comprehension is at an 11th grade level. When he couldn’t speak clearly until he was 4 I did a lot of research, took him to a speech therapist who thankfully pointed us to a leading audiologist. We hoped he would outgrow it – as 5 is early to diagnose without being fully developed physically (in the ear), but by 9 she determined that it was disorder, and not delay. I brought my daughter to her too – just because I knew what to look for with her. Again an APD diagnosis, which our school district doesn’t recognize. I had them BOTH diagnosed by physician for ADD/ADHD so that we could push school. They both received accommodations in the classroom. I saw the issues with friends and humiliation in the classroom. It’s heartbreaking. But at least I have the information and language to help them understand what they have and to communicate with their teachers. My daughter now goes to cyber school as well. Cyber school has been a great answer for us – my kids were SO exhausted by the time they came home from school with trying to get along in a traditional classroom. I can’t even imagine how it must be to not be able to filter out background noise or to not understand people fully unless they’re facing you. I explain it that my children read faces in conversations they way hearing impaired children read lips – so people need to be facing them when speaking to them. Understanding also helps me to be patient with them – it isn’t easy to wait patiently while a child with APD recounts a story from their day … or moves through their daily activities at THEIR pace. I wish there was more understanding and support. My son is almost 14 and my daughter is 11. I have a friend who has auditory hyper sensitivity. she startles if she hears unexpected noise, children insupermarkets or cries at events. she experienced a trauma to her brain though a virus and resultant locked in type syndrome. about 5 years ago. she now runs hlf marathons slowly, swims and copes well at work. she seems to have this aufditory issue, emotion dysregulation, and can go from being calm to “meltdown” and unresponsive at times (1-2 last 6 months). can you give any help or advice i can pass on. Tania, that’s an issue that would take a lot of investigating, but I doubt it is caused by the auditory processing delays talked about in this post. I also have APD it seems and didn’t know it as a child and young adult. At various times I had my hearing checked feeling I was simply hard of hearing. For me sound comes in a mass and then gradually separates into words rather like the fractured shapes that morph together into words in that technique that you see on TV or videos. It takes a second or two and I would buy time by asking people to repeat what they said and by explaining that I was a little hard of hearing. Spelling always was a trial. I could picture the up and downs in words (letters up to the top of the line or below) but had absolutely no idea what the jumble in between consisted of. However, I read very early (through sight word recognition) and coped in school as we were of the “radio generation” and had no TV at the time so I had lots of practice in auditory learning and learned how to fill in the gaps to a managable level. It also meant that I was a strong visual learner and that has been a wonderful gift! I have a couple of University degrees and treat my learning style as an interesting personal oddity now that I understand it. I still can’t spell though! Your story is a fascinating insight into the power of the brain to self-organize and compensate when a sensory input is not as reliable or as accurate as it should be, particular when it is combined with resilience and fortitude, as you have shown. Good for you! -By the time I was in 2nd grade (a million years ago) I didn’t have problems with reading silently but did reading aloud. Putting dates with places, names and events was nigh onto impossible. Math…I was a lost cause. I had problems making sense of the process. In High School I did really well with Mechanical Drawing and easy Drafting but still had all sorts of problems with Math. -It wasn’t until my very early 30’s that basic math made any sense. What helped was being an On-site Apartment Manager and having to balance the books. I finally got comfortable reading aloud. -Is any of this signs of APD? These are not typical APD symptoms. Have you tried Lumosity or Brain HQ? These are two online brain exercise programs. They don’t have the intensity to turn around a learning issue, but they can give you a clearer idea of your issues and an opportunity to practice them. -I tried Lumosity and found it to be fun but am unwilling to pay the fee they want to play their game. I’ll look at Brain HQ. But now you can do something to prevent many of the problems. Childhood ear infections are the overwhelming culprit. They begin. always, from bacteria that live in the back of the nose. Xylitol, a safe, natural, and common sugar alternative, has been shown to make it harder for these bacteria to hold on there. My experience is more than a 90% reduction in ear complaints when the nose is sprayed at every diaper change with a spray containing xylitol. See my report at http://www.academia.edu/13441667/Nasal_xylitol_and_upper_respiratory_problems. The mouth breathing child pictured on this page is also headed for orthodontic problems. Mouth breathing puts stress on the facial muscles that pull the arch narrower and make the face longer with malocclusion that is very expensive to treat. Prevention is key: keep your nose clean. I do agree that given the long term impacts on reading and learning from ear infections, looking at ways to reduce their incidence is well worthwhile. Math, too, is her biggest weakness. Honestly, the classes in high school that terrify me the most are foreign language. How can she speak a foreign language when English is so jumbled for her at times? She writes beautifully, but speaking in front of others is a struggle as she stumbles over her own words and substitutes the wrong word at times. Hi Karen, thanks for your comment! Yes, auditory processing skills do keep improving with maturity, certainly to the point that social interaction becomes easier, if only because teens and adults learn where they fare best, e.g., avoiding noisy places, etc. However, many adults carry less than perfect auditory processing through life. Fast ForWord can probably help your daughter avoid that outcome. Give us a ring if we can be of service! My son 6 is equally slow with any new language (as we travel between Italy and France. This may be not so encouraging, but ..at least show that suspected APD does not prevent the learning of new languages. However, there is some connection with how languages sound. In our case the home language English is more developed compared to French. I think French has very low tones and many very similary sounding combinations of vowels, which makes it harder to learn. We are looking into this with my daughter that is in pre-k, and is one of the younger kids in her class. your story gives me hope that she will be successful. it has been rough knowing all these years that she could hear, but never was at the same level as her sister as they are just 17 months apart. thank you for your words of encouragement. My son is autistic. He is 16 years old. Does fast forward programme help Autistic children also. If yes, then how? I wish they knew about this type of disorder when I was a kid then maybe I would not have as many problems as I do now. I can not spell properly nor can I read out loud as I can not prounce the words properly. I can not take written tests because I have trouble remembering even though I know the answers but if you ask me the question out loud I can answer correctly.When the teachers would tell me to look it up in the dictionary I would ask if I can not spell it how can I look it up? Not a good thing back in the days. Seems strange right. But that is how my brain has worked all these years.I had trouble all my life and still do but it is hard and I am 63 years old.